Eromosele Abiodun writes that the federal government should keep to its promise to replace administrative measures on the list of 41 items barred from the official window of the forex market in order to curb the importation of substandard tomato pastes into the country. Recently, the federal government indicated its readiness to lift the foreign exchange (forex) ban it placed on some 41 items since 2015. Since the announcement, stakeholders in the industry have been in a dancing mood as the restriction of access to forex in the official window sent many of them out of business. Also, the demand for tomato paste in Nigeria has outstripped supply ever since the Central Bank of Nigeria (CBN) started implementing the policy restricting the 41 items from sourcing forex from its official window. This has led to a massive mark-up of price. Profiteering became the order of the day with substandard tomato pastes flooding the market as unsuspecting consumers suffer the backlash. Experts believe the health of Nigerians might be compromised with smugglers and sellers of tomato paste desperate to meet the difference between market demand and actual product supply. With the dying local tomato paste industry closer to the verge of extinction, smuggling of substandard tomato paste becomes inevitable to opportunists. NCS Comptroller General, who was represented by the Deputy Comptroller-General, Mr. Umar Ilya said the NCS will continue to do what is possible to rid the country of adulterated products. While the NCS is doing their best to curb the menace of importers of fake products, analysts believe the best solution to counter the menace is to encourage local production until total ban on the 41 items that excludes tomato paste triple concentrate from forex interbank is removed. Stakeholders therefore called on the federal government to remove restriction on forex pending when local production of the material starts and becomes self-sufficient. According to a top player in the industry, who pleaded anonymity, “Tomato paste triple concentrate is one of the essential ingredients used to manufacture the popular tomato paste. This vital raw material is not produced in Nigeria for now even though there is so attempts and claims the raw material is still massively being sort outside the shores of Nigeria. The former DG also revealed that 91.1 per cent of the foreign brands of tomato paste failed NAFDAC’s product test. According to Orhii, the tomato paste was filled with bulky agents such as starch and banned colouring that makes the product look reddish. “But this could cause cancer, organ failure, kidney and liver related ailments among young and middle-aged Nigerians,” stated. Another stakeholder, who does not want his name in print, said that the federal government would be killing two birds with a stone if it reverses the ban on 41 items from forex interbank activities especially for an item such as tomato paste triple concentrate. He added: “Take for instance cassava that is grown in Nigeria, this crop is used for many other things aside food. Even as food it can be purchased for different kinds of food. Sugarcane is not just for food consumption, it is also used to make ethanol fuel for vehicles and other machineries. Nigeria produces an estimated 1.5 million tons of fresh tomatoes every year, making it the 13th biggest producer in the world. Most of it goes to service the fresh tomato market in the country. “Tomato paste plays its role, primarily as a substitute for fresh tomatoes, when there is reduced availability of fresh tomatoes; tomato paste variants are used to shore up supply and reduce scarcity. Tomato paste is also a very good way to store tomatoes that would ordinarily go bad in their natural and fresh state being a seasonal crop with Nigeria still lacking adequate storage facilities. He added that it is also virtually impossible to feed the local demand for Triple Concentrate till the local processing industry evolves over time to acquire and execute the required backward integration to make this possible. He said the United States, European and Chinese tomato paste industries are examples, which took many years to establish and standardize. The decision to include triple concentrate tomato paste amongst 41 prohibited import goods is still raising dust amongst consumers, labour and manufacturers alike and many have been expressing frustrations over the forex policy. 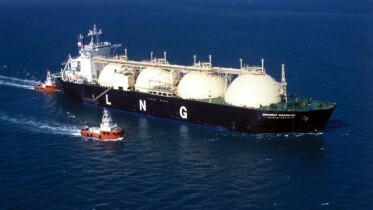 He said: “Petroleum maybe the mainstay of the economy today but the future of that sector looks very bleak as global pricing for crude oil keeps falling. This is perhaps the major reason why the government has intensified its drive to diversify Nigeria’s economy in a bid to shore up the country’s revenue. On his part, President of Manufacturers Association of Nigeria (MAN), Franks Jacob said several of his member companies are presently operating below capacity and only few may be able to survive. “The forex policy is not just killing the tomato industry but does more than that as it effeminates the purchasing power of the consumer and this consumer-impotence is replicated all over the country as they cannot afford to buy because of inflation and loss of jobs. The policy also eliminates the possibility of sales increase as the few people with jobs have to cater for those who just lost theirs, “he said. “Hence the best approach would be a phase-wise implementation which will facilitate local backward integration of the key players through sound and stable policies and support measures. This will also retain and build the local processing capabilities of the downstream re-processing industry, so that in the long-run, not just Nigeria but the entire region can be serviced using local capabilities. “The CBN while desperate to get the economy up and running should appreciate that some items cannot be treated with levity. If you take away Cassava you are not just dealing with Cassava but you are dealing with Garri, fuel made from Cassava, Abacha salad, African Salad and many others. 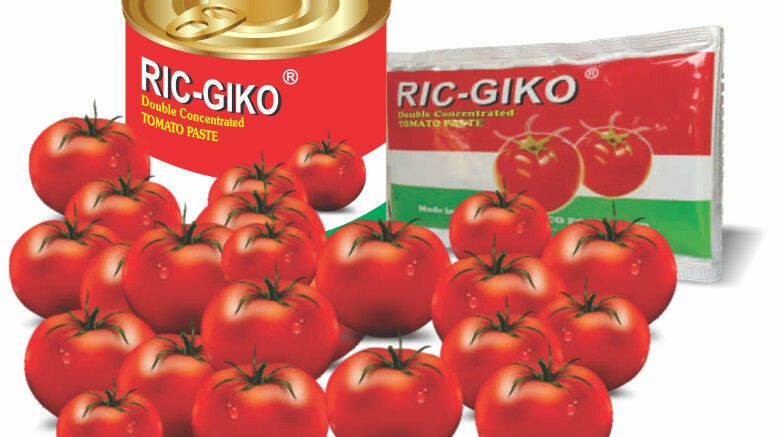 Tomato Paste Triple Concentrate is not just an item on the list but a raw material that goes beyond providing food on the table but also jobs to millions of Nigerians,” he added. Be the first to comment on "Curbing Substandard Tomato Pastes Imports"